A Saint-Julien-Beychevelle, il y a un restaurant traditionnel à ne pas louper, Le Saint-Julien. Dans un cadre d'exception, venez déguster les merveilles proposées : pavé de saumon crème d'oseille, maigre aux champignons des bois, rognon de veau à la moutarde à l'ancienne, moelleux au chocolat et aux délices sont tous fait maison et servis copieusement pour le plus grand plaisir des papilles. The service was very long, we waited for 20 minutes to be able to order, then at the end 15 more just to receive the bill. The food was of good quality, very generous portions, but not at all impressive. Excellent. Amazing service and food!!! After making a reservation several weeks in advance we were placed at the door to the kitchen and while the owner/chef seems like a great guy our waiter seemed confused and distracted the whole, resulting in slow and poor service. My wife's choices were good, mine were only satisfactory. The first time we went for lunch with our dog and had to sit outside on the terrace as dogs are not allowed in the restaurant. This was fine as the weather was fine. The service was good and the food was outstanding, particularly the grilled lobster. We were so impressed that we returned for dinner a few days later without our dog. The restaurant is very attractive and again the service and food were first class. We shall certainly return if we are in the area again in the future. Parking was confusing. Greeted by owner. Guests were in good mood, but a man at next table spoke loud and never stopped. The aperitif was spectacular (pumpkin soup), each of our dinners on 3 course dinners were excellent and very reasonably priced for quality. Side of “French” French Fries were perfect. Staff was very good. Waiter, Sebastian, was very helpful. Great meal! Outstanding place! Marvelous experience! After warm welcome from Chef Claude we delighted ourselves with our food choices and between incredible tastes and textures. Plate presentation is outstanding. The Wine list makes you remember you are in Bordeaux region, of course, awesome. Great food, amazing hospitality, definitely a place to come back! Great wine, food, service and setting! The summer setting for the restaurant is outside in a marquis. This is nice, though the entry is a bit scruffy. Service was formal and a bit curt - despite the bonhomie of the owner, who came over to see us - possibly in response to our displeasure at one of our party being asked to remove his Panama hat as if we were “indoors”. Not I n an outside setting, with a tent roof that did not block out all the sun . The “no hats” rule is apparently to avoid a scruffy appearance from foreign guests wearing baseball caps. But when other diners were wearing shorts, running shoes, tee shirts and so on, the demand that hats be removed was as bizarre, embarrassing, and more than a bit offensive - especially when done without a hint of apology. The pretention of the “request” was unbelievable. 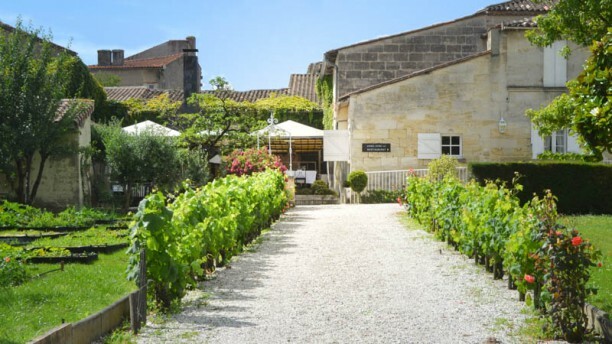 When there are so many stylish and welcoming alternatives in the Medoc, we would recommend avoiding Le St Julian. Sitting on the terrace around the great open fire is really lovely. The food and service was awesome. Thank you so much for a great lunch menu. It’s alright but there is some flies flying around during dinner. Food is nice and price is not bad. We ordered the degustation menu with the wine pairing. The waiters said not that the entree was an foie gras. The white wine pairing was very bad !. After we become to the maine corse a glas chateau d'Armailhac. This wine has cork. The waiter said, this wine must taste like that. After a discussion, we didn't became an other wine from the same chateau. We became an other wine, not the same ! This diner was dreadful. We have a wine shop and we make with our clients travel to wine destinationen. Your restaurant is by us on the black list !! We had the special steak (1.2kg). While it had good flavor, it was a bit tough. The absolutely most fabulous restaurant! Excellent !! Cuissons et assaisonnements parfaits ! !